Developed for comfortable driving in difficult conditions, the Snowprox S942 is a superior choice for winter. 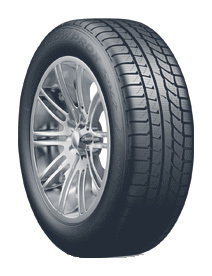 Thanks to the addition of high density sipes, this tyre offers an improved performance during all winter conditions from dry and cold to snow and ice. The Snowprox S942 is optimised for snow traction due to the increase of circum void ratio along the outside of the tyre.